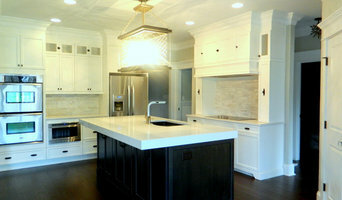 We are a kitchen and bath design and remodeling firm, serving all of the Triangle and suburbs of Raleigh, NC. Design Build Associates offers complete design and construction management for your projects using a very unique artistic and scientific approach. We look at your project as a blank canvas and create a true work of art that best suits your needs and budget whether you want to face lift and sell your home or create a new space that will last a lifetime. We are with you every step of the way from the initial design to choosing fixtures and finishes to the final product. Our very detailed budget process lets you see where every dollar goes and ensures that there are no surprises along the way. 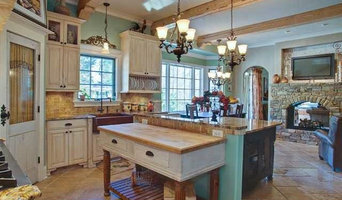 Changing your kitchen for that chef in you? Want that relaxing spa experience at home in your master bath? Everything is possible with Design Build Associates "It's what we do!" We are a local family owned custom cabinet shop established in 1970 by Donald Allen, who began building cabinets in his back yard, and developed a reputation of quality and attention to detail. Any remodeling project can be a complex and trying experience for those who must live in the home during ongoing improvements. Our commitment to you is to exceed your expectations and gain your trust by carrying out our responsibilities in a respectful manner. Treating your home as if it were our own. We will work with you to keep the costs down and to protect the environment with out sacrificing quality. We will provide the most efficient and least intrusive services possible. We take pride in our work and we know that you will too! Whether you are looking for a kitchen design or a bathroom layout, at Triangle Cabinets, a representative will design for you a layout that is both stylish and functional. We pride ourselves on offering our customers accurate kitchen design services, accompanied by 3D kitchen design renderings. With a great customer service and close relationships between design specialists and consumers, you can work with Triangle Cabinets to create your kitchen. We can provide a design and a free price quote no matter what stage you are at in the renovation process. You may be at the very beginning stages with just your measurements and a door style in mind, we can work with you to produce a kitchen layout, item list, and price quote based on the information you provide us with. Or if you are further along in the process and you already have a kitchen or bathroom layout, we at Triangle Cabinet will provide you with a quote for the items listed. 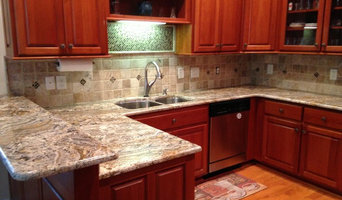 Complete Kitchen and Bathroom Remodeling from start to finish! Dream Home Design of Cary (DHD) was founded over 10 years ago with the vision of serving the triangle area on the need for a remodeling company that was capable of doing everything from the basic tub/shower or countertop replacement, to the complete re-design and renovation. With over 30 years of combined experience in the remodeling industry, the designers at DHD can make any dream become a reality. We combine the art of timeless design, with the expert craftsmanship that can only be accomplished by having extremely experienced installers and using the highest quality materials. We are a one-stop-shop for your Kitchen, Flooring and Bathroom needs. We will take you from concept to completion in a hassle-free environment. With our extensive selection, it will be easy and enjoyable to find just the perfect choices that will make your home even more beautiful. 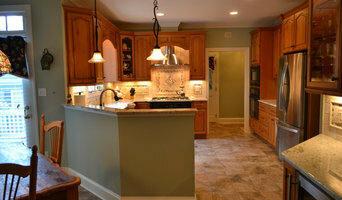 DHD is specialized on Kitchen, Bathroom and Flooring Remodeling. One stop shop. Tile, Cabinets, Granite, Marble, Quartz, Hardwood Flooring, Shower Doors, Painting, Free Estimates and Free in-home design consultations. Cabinet & Closet Depot offer our customers several cabinet lines, vanities, storage solutions, hardware lines and flooring products for every taste and budget. We take pride in providing the best customer service for our customers. Our partnerships with industry leading manufacturers allow us to provide our customers incomparable satisfaction. Cabinet & Closet Depot is proud to present best products at fair prices, with the excellent customer service. Whether moving into a new home or improving their current one, we would like to help you to create your dream spaces. It is our main goal to help you. Our unique business model gives us the opportunity to serve to builders, remodeling contractors and designers in our area. We offer both American made and imported lines with the best price and lead time in industry. Full-service interior design firm, specializing in construction based projects. Can work on behalf of general contractors to assist their clients in finish selections. Project manage refresh projects in residential and commercial construction, including the implementation of all finish subcontractors.